Adam McOmber teaches creative writing at Columbia College Chicago and is the associate editor of the literary magazine Hotel Amerika. 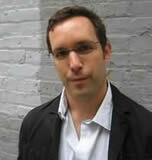 Stories from his collection This New and Poisonous Air have been nominated for two 2012 Pushcart Prizes. Visit his website at AdamMcOmber.com. CLICK HERE FOR MORE BY ADAM MCOMBER. 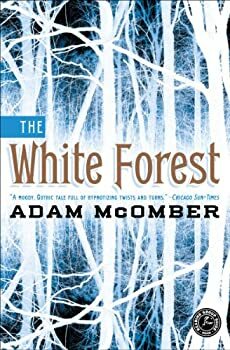 In The White Forest, Adam McOmber attempts a Victorian-style thriller, a spooky gothic in the style of Henry James. The story follows three young people on London’s Hampstead Heath, during or shortly after the Crimean War. Nathan Ashe is a young aristocrat, a gentleman, always curious, whose seeking has become more desperate since he has returned from the war. Madeline Lee is a gentleman’s daughter whose photographer father has been shunned by society for the subject of his daguerreotypes, and Jane Silverlake is an enigma, an isolated young woman with a strange and powerful gift.